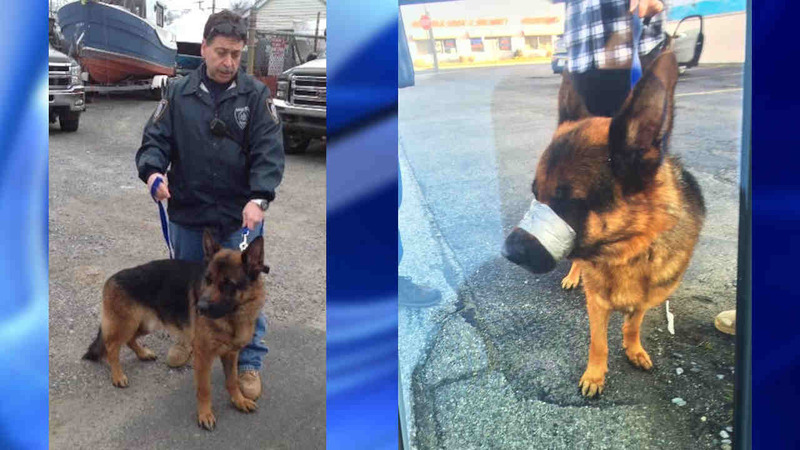 LINDENHURST, Long Island -- Authorities on Long Island are offering a $2,000 reward in a case involving a German shepherd found with its muzzle taped shut. Chief Roy Gross of the Suffolk County Society for the Prevention of Animals says the dog was found by police on Saturday on Montauk Highway in Lindenhurst. The male dog was found with its muzzle closed with duct tape. The Babylon Animal Shelter is now caring for the dog. Gross says the dog was unable to eat or drink. He called the dog's abandonment on a busy road "heartbreaking."